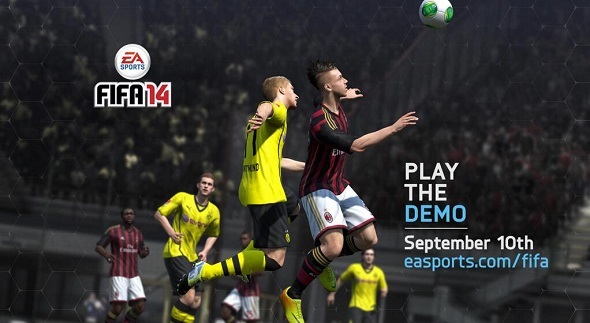 FIFA 14 news: top of the best players and demo tomorrow! Obviously, the fans of the football simulator - FIFA 14 - just can’t be bored, because the publisher of this amazing game doesn’t stop providing us with new information about the project, and we, in our turn, tell you these latest FIFA 14 news. First of all, Electronics Arts, via its account on Twitter, has reminded us that tomorrow - on the 10th of September - so long-waited release of FIFA 14 demo will take place for Xbox 360, PS3 and PC. Secondly, the publisher has presented the list of 50 best players and the top of of 20 best goalkeepers in FIFA 14, selecting them according to its own criteria. Lionel Messi occupies the first place in the list of 50 best players (what is not surprisingly), the second and the third places have been given to Cristiano Ronaldo and Franck Ribéry. Three best goalkeepers in FIFA 14, according to the top 20, are Gianluigi Buffon (Juventus), Iker Casillas (Real Madrid) and Manuel Neuer (Bayern Munich). If you want to look at the complete lists of the best players and goalkeepers, then follow the links above. And as always, we don’t forget to remind you that FIFA 14 demo will be held tomorrow, the news about which we'll tell you soon, and the game itself will be released on September 27 for Xbox 360, PS3 and PC.